One of our favorite private label hair ingredients for keeping the ends strong, moisturized and breakage free is organic Argan oil. It sinks into the hair shift quickly, leaves a beautiful shine, does not leave a greasy finish and a little goes a long way. It can help give the hair some texture and can be worn throughout the whole day since it doesn’t weigh the hair down. It has a very mild scent and is wonderful with a few drops of an essential oil mixed in for extra hair support and aroma therapeutic love. 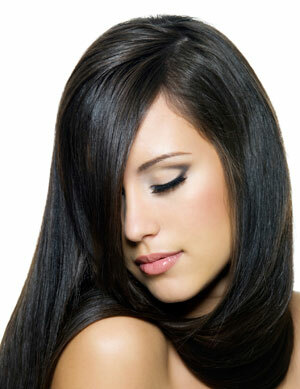 Jojoba oil is another private label ingredient that helps to balance and restore damaged hair. Jojoba oil has a beautiful golden color and teaches your scalp to produce the correct amount of sebum. This makes Jojoba a great hair ingredient to use for people with overly oily and dry, flaking scalps because it can help bring both back into balance. Jojoba oil is also rich in vitamin E, which helps to moisturize and protect the hair from splitting and being damaged by the sun. Use it similarly to Argan for best results. Coconut oil is another private label carrier oil that can be used to nourish and restore the hair. It has a very light Coconut fragrance and is full of hair protective and rebuilding essential fatty acids. Just a little can go a very long way towards keeping the hair frizz and breakage free. It is also fantastic mixed with other carrier oils like Jojoba or Argan for increased efficacy and fun mix and matching. All three of these private label hair oils can be used alone, together, daily and as intensive treatments. They are completely natural, non toxic and fantastically effective. Have fun and try a few different combinations to see what works best for you.